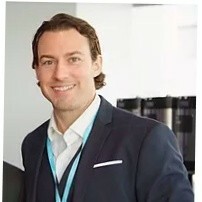 Ty McGuire is the CFO and lead of project development and strategy at OCA an AI based hedge fund which is leading the industry in the use of blockchain and cryptocurrencies in finance. Mr. McGuire was the Chief Executive Officer of Beacon VP Capital, LLC since June 2014, and a Director since May 2012. Mr. McGuire co-founded Beacon VP Capital and under his leadership won: Biotech Fund of the Year, Top Healthcare Strategy, Top Investment Manager in 2016. Previously, from 2010 until January 2012, he was a Partner of TMJ Holding, Inc, an investment holding company, where he ran the trading of distress debt securities. From 2007 to 2010, he was part of the exclusive Special Situation group at Wells that managed $60 billion in assets thru the restructure and workout process. He lead project development to automate group systems and reporting tools by developing excel based systems.